By Amanda Glenn March 26, 2018 This post may contain affiliate links. One way I would have liked to have celebrated the hard work of exclusively pumping for my first baby is getting a piece of breast milk jewelry. (The first time I heard of it, it sounded kind of strange, but after looking at some of them, I think a lot of the pieces are really beautiful!) 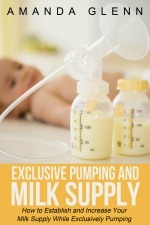 After my son was born, exclusive pumping was a huge part of my identity as a new mom. 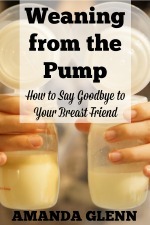 I think that part of this was the amount of time that exclusive pumping takes, and part of it was the complex emotions that I had around exclusive pumping – a combination of guilt that I wasn’t able to nurse and pride that I managed to stick with pumping for so long. So what is breast milk jewelry, exactly? Breast milk artists can make necklaces, rings, earrings, and bracelets that include some sort of centerpiece made from a mother’s breast milk. Usually, the artist will use about two tablespoons of breast milk, which is mixed with chemicals to harden and then blended with resin so that it can be shaped into jewelry. I asked Kristen Hallman from Precious Relics Jewelry for more information about how breast milk jewelry is made, and she was kind enough to answer my questions! Do I have to worry about my baby trying to eat my necklace? Your child will not be able to smell the breast milk. It is chemically preserved and dried to stabilize its unique color, turned into a fine powder, and then suspended as a pigment in jewelers grade art resin. Most pieces are also coated with a permanent UV resistant gloss coating, so breast milk powder is never exposed to the air, and will not give off any scent. What gave you the idea to start making breast milk jewelry? I am certainly not the first artist to start creating breast milk jewelry. 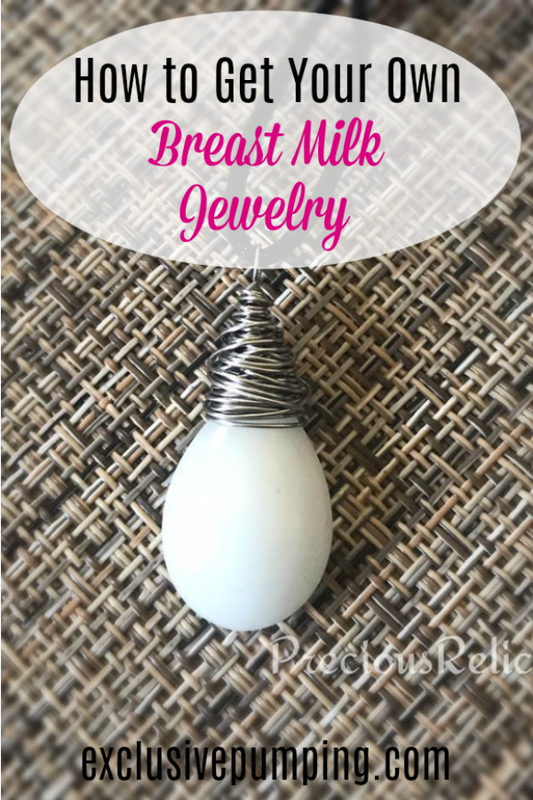 As I was nearing the end of my breastfeeding journey with my fourth and last child, I decided I wanted to get a piece of breast milk jewelry created to commemorate my journey. As I was shopping around different small DNA jewelry businesses, there was one thing in common; they were all prohibitively expensive. I have prior training in jewelry design, and I am certified in food preservation, so I put my mind to work to figure out how to create my own. After a lot of trial and error, I found a way that works very well, and I successfully created my own keepsakes. A few friends saw what I could do and wanted me to make keepsakes for them, and it just took off from there. I created this business with the goal to provide beautiful, unique, quality and affordable breast milk and DNA jewelry to all, not just to a people that could afford to spend $300 on a piece. Where does the term “inclusion jewelry” come from, and what does it mean? I was not the one to coin this term for breast milk keepsake jewelry, but it describes each person’s own unique biological addition to the jewelry resin that encapsulates it. How is breast milk jewelry made? Here is a detailed explanation of what I do with the breast milk that is sent to me. For me, the coolest part of the process of preserving breast milk is how beautifully unique each person’s milk turns out. The process makes for truly one-of-a-kind pieces. How long is breast milk jewelry expected to last? With proper care, as outlined on my website, these pieces should last indefinitely. I cannot wait to pass on my personal pieces to my daughters. This post was updated on 4/1/18; winner is named in the last comment. Interview with Kristen Hallman, Precious Relics Jewelry, conducted 3/11/18. I love the jewelry, it’s so beautiful!!! Beautiful work! I would choose the hand-woven wire-wrapped ring. I would love a trillum ring please, in solid silver. Thank you so much for this giveaway! I would chose a ring or necklace. I can’t decide! The pieces are truly amazing! I’d most like to create an Andromeda ring or the Lotus ? The jewelry is beautiful! If I won, I think I would choose one of the oval rings. Thank you for writing this article. I had tons of questions about breast milk jewelry, so this was a fun read. I like the idea of treating myself to a keepsake after such a long and difficult journey. I would chose the tree necklace its beautiful and this would be so nice to remember how hard i am working for this. A ring or a necklace. That’s hard. There’s some beautiful pieces on your site! Not sure how I could ever pick between the pearls, Gracie pendant or the evermore pendant. What a great way to celebrate being able to provide food for baby! Beautiful jewelry!! I would choose a necklace! I love the rings! Everything is all so beautiful! I have only recently started looking into breastmilk jewelry but I really like the idea. The rose stud earrings from Precious Relics are beautiful! Wow the pieces are lovely! The precious drops mini is so dainty and perfect! All of the pieces are beautiful, but my favorite is the ethereal eternity ring. I would love the beautiful spirit flight totem pendant for a necklace. My daughter’s name is cherokee for “white dove,” so it would mean so much to have that necklace made with my breastmilk. I would want the hand woven wire wrapped ring! Beautiful! The pieces on her website are all lovely. If I won, I would choose the Love in Every Drop pendant because my eyes welled up a little bit when I saw it. 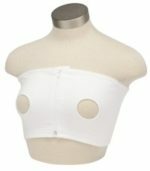 These postpartum hormones are no joke. I’d select a ring! My son was born in April, but I don’t need another diamond ring as a mother’s ring. I think a breast milk ring would be a the perfect option to remember this year! I would choose the WOODLAND FLORA BOHO MILK DROP RING because it’s big and beautiful! I have exclusively pumped for both my kids (7 yr old and 3 yr old) and currently am pumping as a surrogate for my niece, a couple who adopted a baby, and a preemie milk bank. 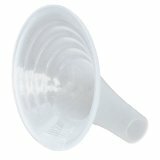 A breastmilk ring is the perfect way to remember all three pumping journeys! There are a lot of great pieces but I’m thinking the pea pod pendant. Anyways, that breastmilk jewelry shop you have shared here has such BEAUTIFUL pieces. I think even without the giveaway I will be purchasing something. As per the giveaway/event directions; There’s a ring on the front page that immediately caught my attention. The woodland piece with the flecks of purple!! Oh my heart is that gorgeous. I’d grab that. ? I’m not sure which one I would choose because they are all beautiful but I definitely would choose a necklace! I love the tree of life necklace! Thank you! I would choose the claddagh ring. The first piece of jewelry my husband got me was a claddagh ring when we were dating for 1 month. I wore it for 10 years until and finally took it off when we got engaged. I would wear this one for my son on my other ring finger as a promise to always love, cherish and protect him! It’s exactly what I’ve been looking for! What a perfect piece of jewelry to celebrate our breastfeeding journey! Everything is so beautiful! I would love to have either the trillium or everlasting rose ring. My son is in the nicu and this would be a great reminder of his journey. I would choose a necklace. Yours in some of the prettiest BM jewelery I have seen. I gave birth in November 2016 to my first (but hopefully not last) surrogate baby for a wonderful couple in China. I donated milk to that baby for 2 months and have been donating to a CA milk bank ever since. I will be 18mpp in April and have already started to wean. I plan to send my last cooler shortly after and would love to have a necklace made to commemorate both my pumping for preemies and surrogate journies. Wow! You are an amazing woman, Jade. I so admire all you have done for so many families! I would choose the wire wrap tree of life and wire wrap milk drop dangles. I have been researching companies for a piece of jewelry to commemorate my pumping journey. I want to get a necklace. How do I pick just one!? All the pieces are so beautiful! I would go with a ring if I had to pick one! I am so I decisvie and all your jewelry is so beautiful, it would take some time to pick one, but I think I would choose a ring! I love them! If I won the giveaway I would choose the precious drops ring(if it’s still available) or the Emma or the trillium ring. Or maybe the feather pendant. There are so many beautiful pieces it would be so hard to choose! I love the wire wrapped ring and pendant. Would be tough to decide beteeen the two! I would choose a ring! I love all the stuff you make. It’s just beautiful! I would love either a pendant or the gracie ring! I would choose the oval halo ring! ? so much pretty stuff! I would love a necklace! I have worked so hard for every ounce of this milk!! I would love any breastmilk ring I could get!!! Such a beautiful keepsake memory! I love the everlasting rose! Such detail in the design. Would love a ring! So beautiful and unique.